Hey guys, I have to keep 2 of these 3 players; Michael Vick, Ray Rice and Ryan Mathews for my 12 team keeper league. This a standard scoring league starting two running backs, two wide receivers and one flex, any thoughts? Thanks for writing in. While it might be tempting to keep Vick and have that dynamic quarterback threat there is no way you can give up those two running backs. Ray Rice is a sure fire top three option this preseason and Ryan Mathews is hovering around that top 5-7 range with some serious potential to crack the top 3 running backs. There is a decent chance you can get Michael Vick back in your draft considering his somewhat lackluster play last season. 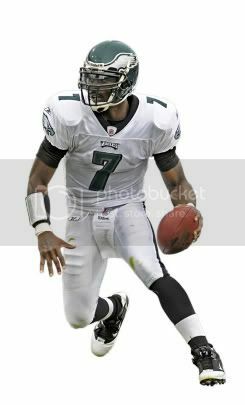 If you absolutely love Michael Vick this season and decide to keep him, I can almost guarantee you will be throwing around some sort of fantasy football trade offer with Vick involved trying your best to obtain a serviceable running back. Hope this helps! Feel free to write in as much as you like for unlimited free fantasy football trade advice!